GrandCircle.org - Durango & Silverton: Hey, your summer discount is here! Thank you for being a loyal email subscriber. After being forced off track last summer by the 416 Fire, severe thunderstorms and heavy mudslides, we had a moment to take stock of people for whom we’re grateful. And that includes you — a member of our dedicated email list. To show our appreciation, and to celebrate overcoming Mother Nature, we’re offering a limited-time (and very rare) discount on our most popular ride: the summer Silverton excursion. Only our email subscribers enjoy this discount. There are daily nonstop flights from Dallas, Denver and Phoenix to Durango, as well as seasonal nonstop flights from Chicago, Los Angeles and Houston. Visit www.flydurango.com for more information. Want travel news specific to your city in the future? Update your location information here. 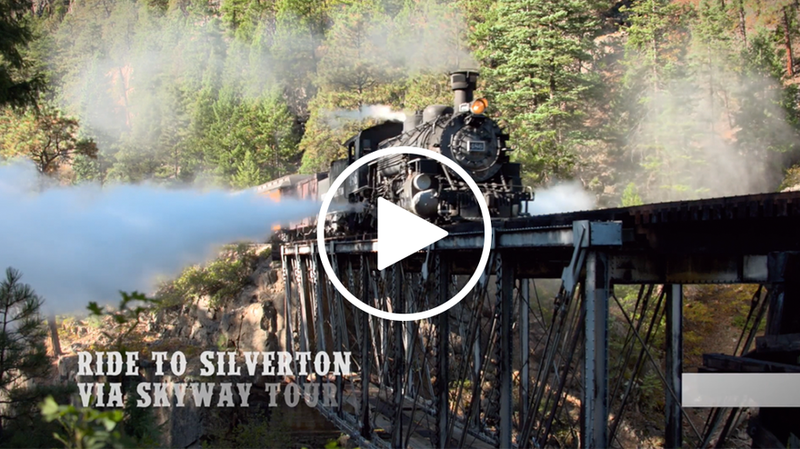 NEW TO OUR SILVERTON EXCURSION? Our most popular ride treks alongside the Animas River, hugging canyon walls and climbing through the spectacular San Juan National Forest to the historic mining town or Silverton. This ride, only available from May through October, offers breathtaking views inaccessible by road. More than any other ride, this excursion has solidified our reputation as a world-famous attraction and a National Historic Landmark. We like to reward our email subscribers. Forward to a friend to share the good news.